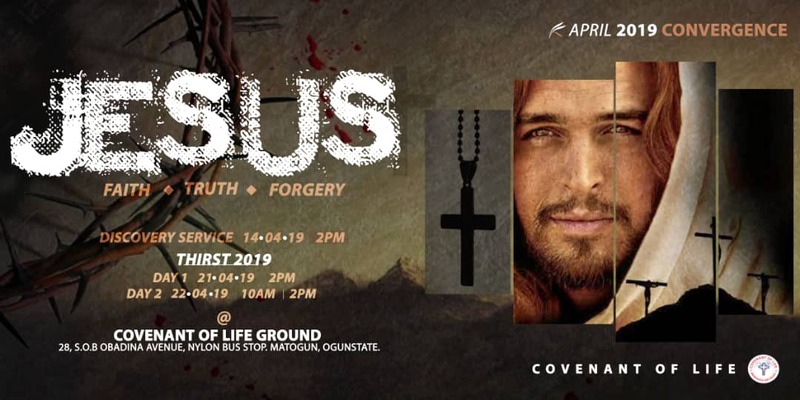 Our Discovery Service on the 14th of April will be the grand opening service for the April 2019 convergence and Thirst 2019. Thirst 2019 holds April 21 - 22 with three Worship, Word & Wonder Sessions. 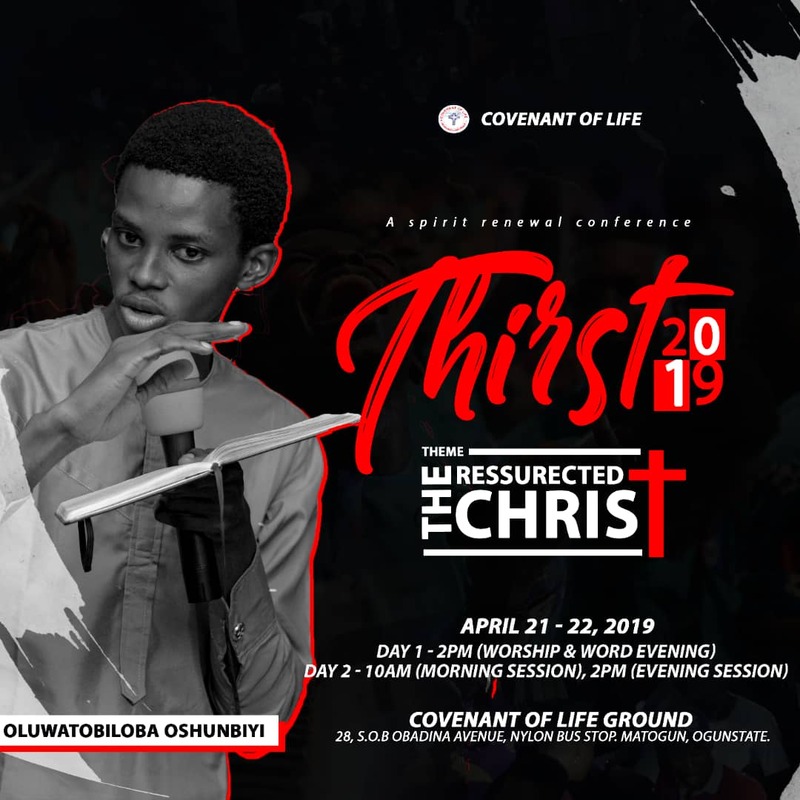 Thirst is a Spiritual Renewal Conference that will host Apostle Layi Fawusi of Youth Aflame Fellowship (Rccg), Oluwatobiloba Oshunbiyi, the Lead Partner of Covenant of Life. 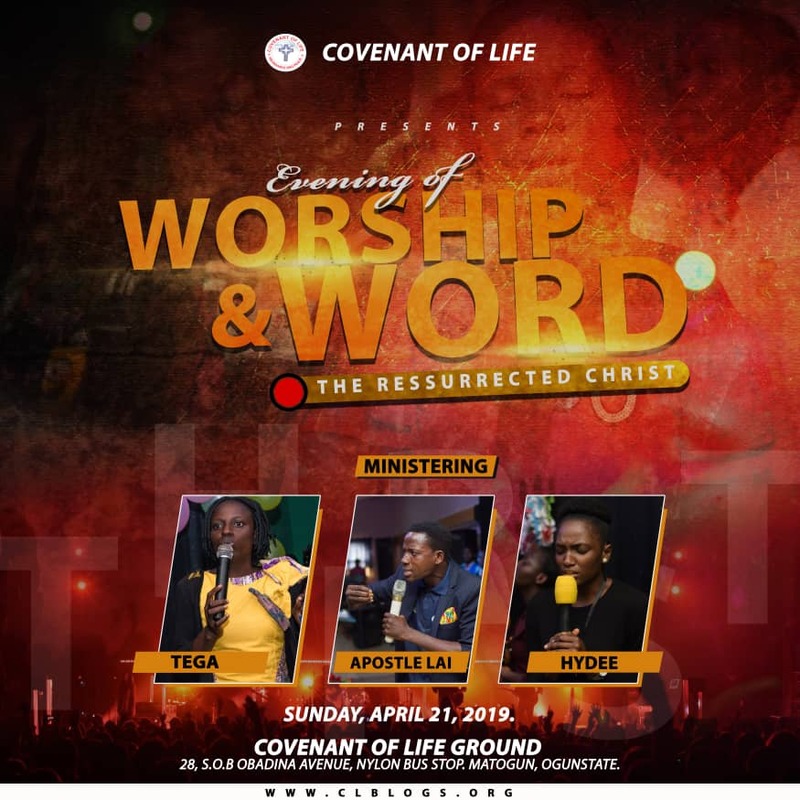 The Worship ministers for this conference are Tega and Hydee of the Living Spring. 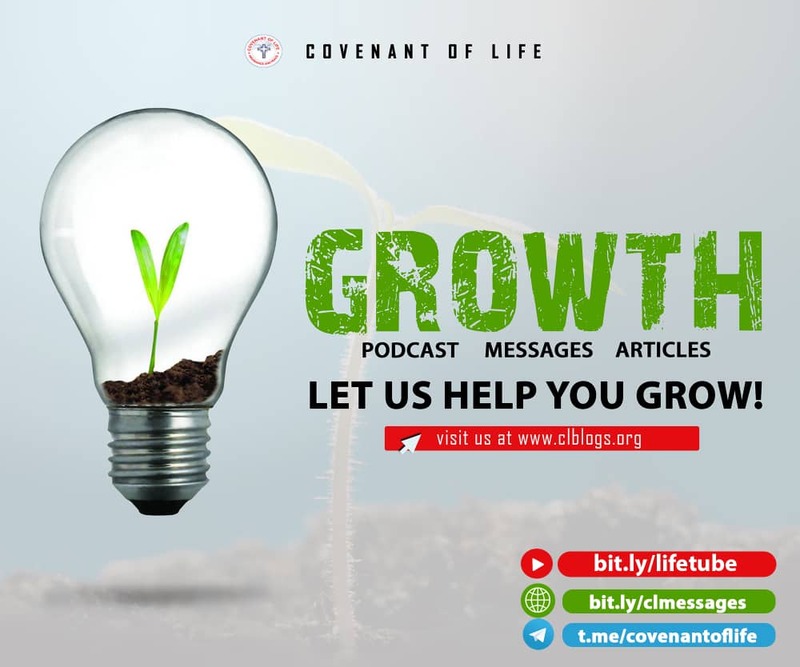 Come Discover Jesus as we embark on the journey into the Resurrected Christ. Faith: Jesus is not the same as Christ though He is Lord. There is a difference between the Man, His Office and His Title. Truth: Jesus is not a white man with a blue eyes as painted by the Western Civilization. Jesus is the Son of God. Forgery: The pictorial representation of Mary, the mother of Jesus, are invariably European, and this Christian art is an accurate image of the Madonna. 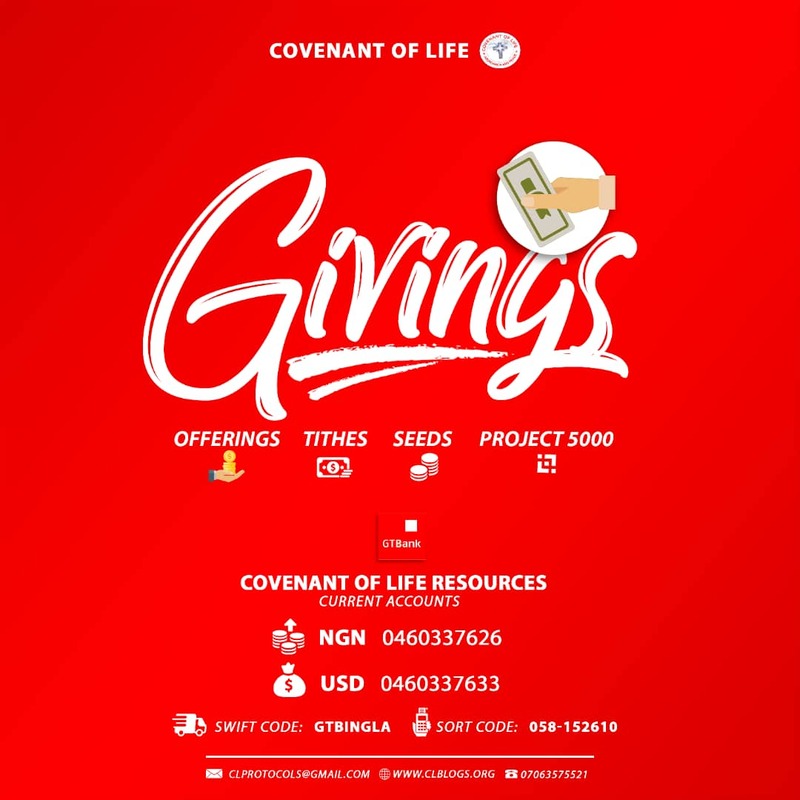 Would you like to support this conference OR Partner with Covenant of Life? Click the Image below or PAY HERE.